Not just huge skyscraper, shopping lanes, Food corners, and fast life. Mumbai have beautiful temples too. Mumbai is named after the local deity known as ‘Goddess Mumbadevi’, who is believed to protect the citizens of this city. 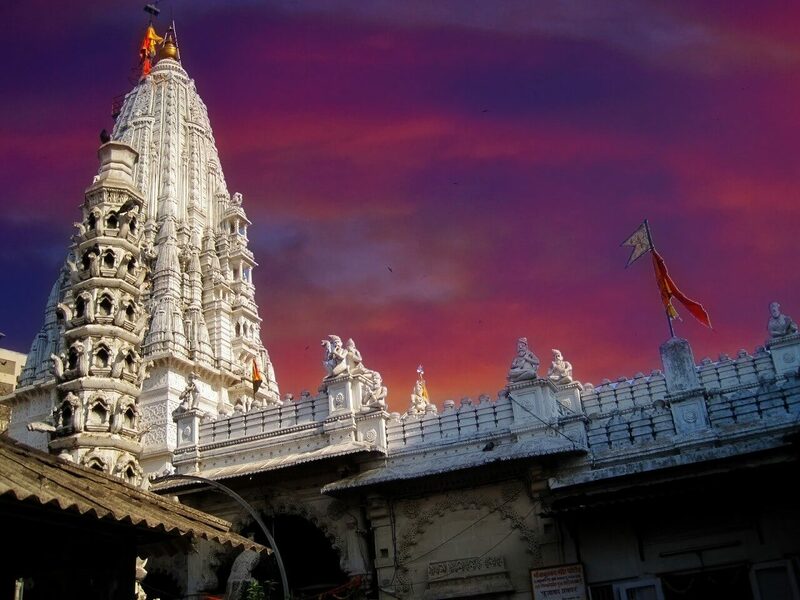 So here are the 9 famous temples in Mumbai. 3) Siddhivinayak Temple Dadar, Prabhadevi. 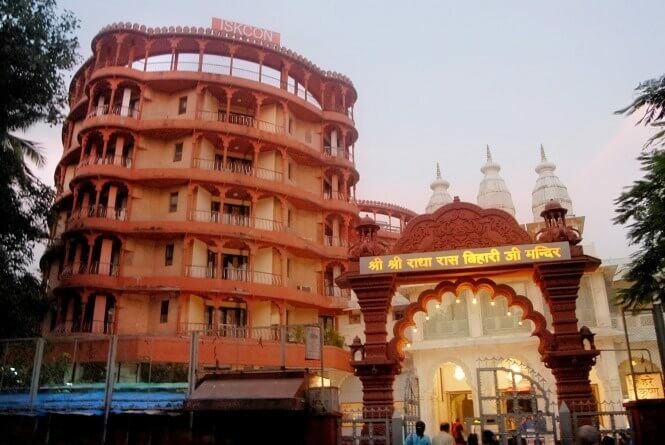 The Shree Siddhivinayak Ganapati Mandir is a Hindu temple dedicated to Lord Shri Ganesh. It is located in Prabhadevi, Mumbai. It was originally built in 1801. 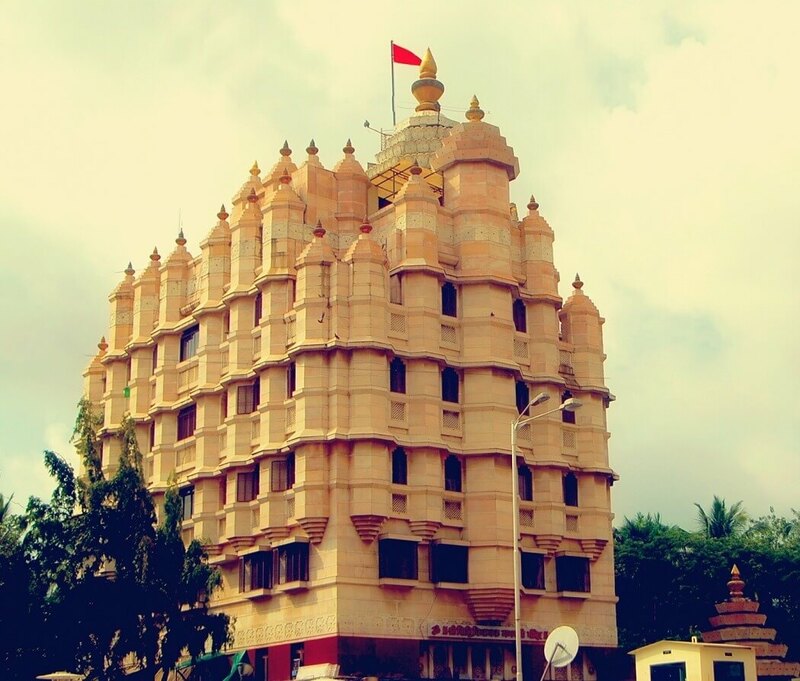 It is one of the richest temples in Mumbai. 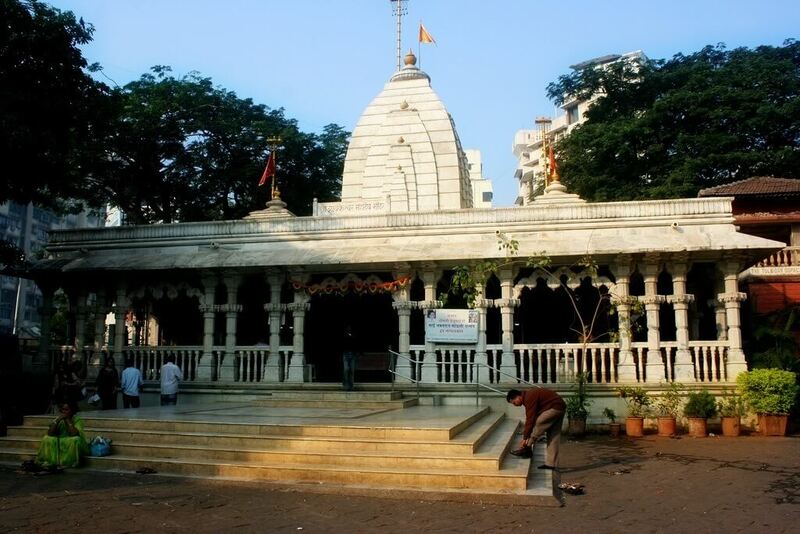 4) ISKON teple – Radha Ras Bihari Temple, Juhu, Mumbai. 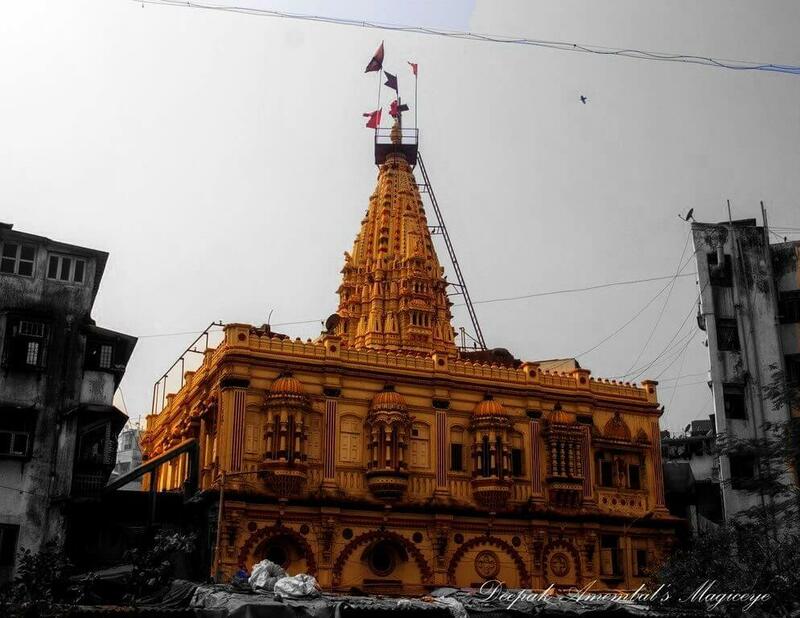 5)Mumbadevi Temple Mumbai – from where the city got its name..
Mumba Devi Mandir is an old Hindu temple in the city of Mumbai, dedicated to the goddess Mumba. Mumbai got its name from this temple. It was built in 6th century. 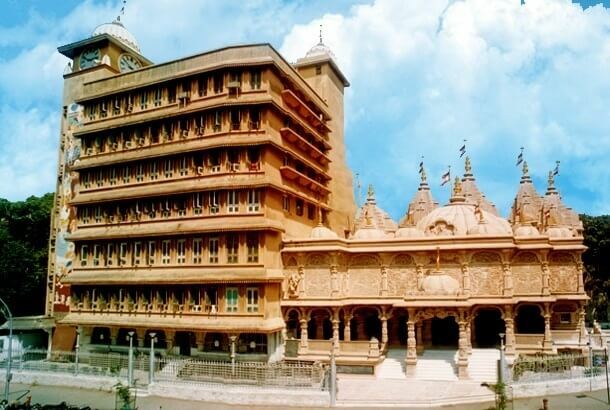 is one of the most famous temples of Mumbai situated on Bhulabhai Desai Road in Mahalaxmi area. 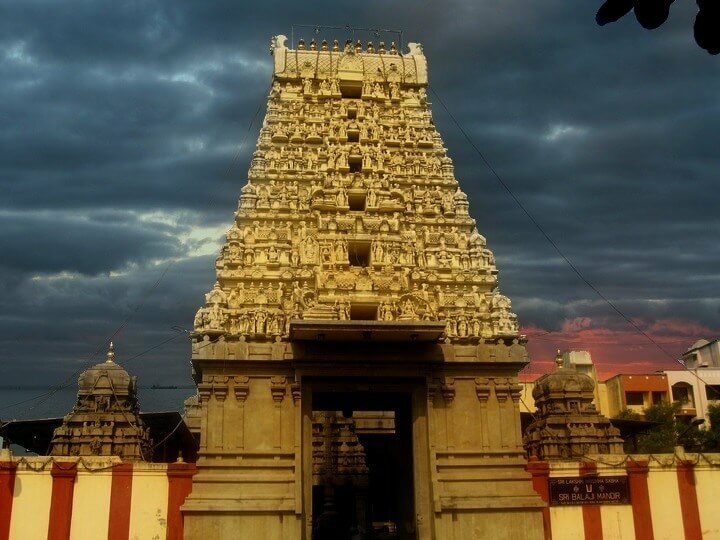 The temple was built in 1831. 7) Global Vipassana Pagoda Mumbai. 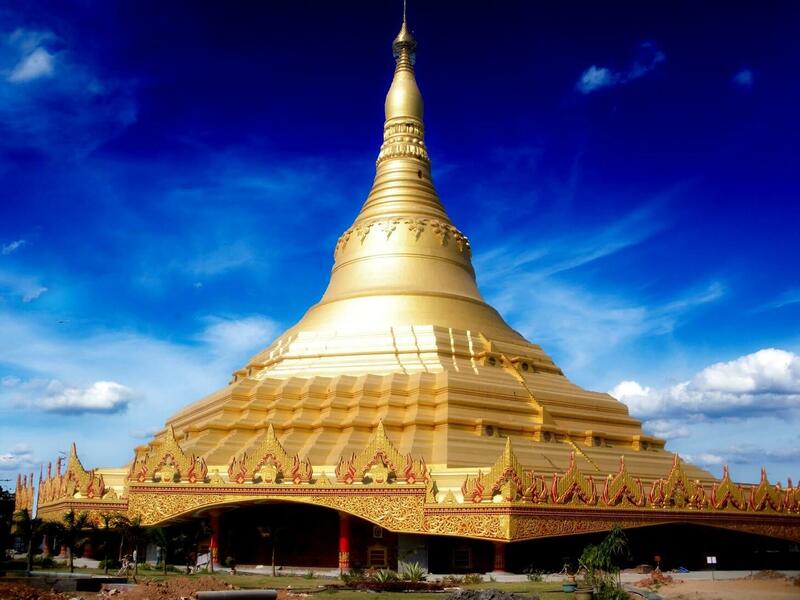 The Global Vipassana Pagoda is a Meditation Hall near Gorai, North-west of Mumbai, India. The pagoda is to serve as a monument of peace and harmony. Babulnath is an ancient Shiva temple in Mumbai, India. 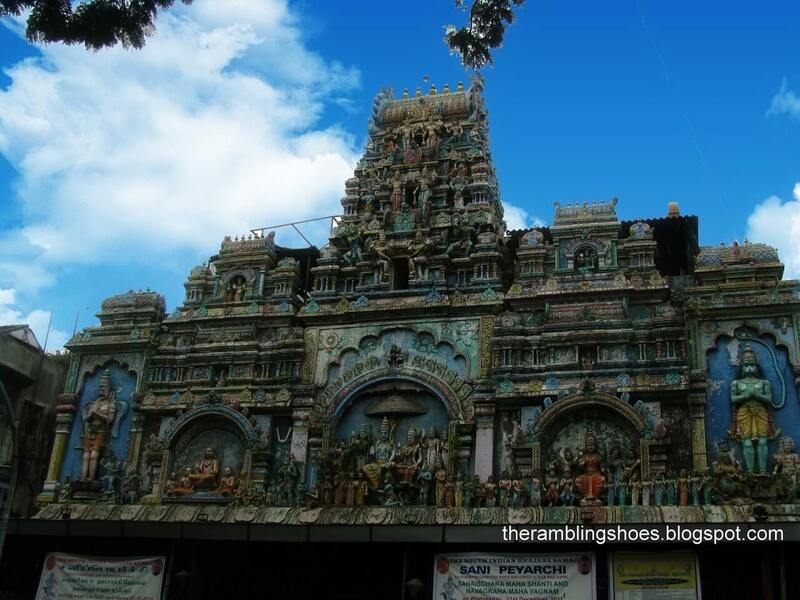 Situated on a small hillock near Girgaum Chowpatty, it is one of oldest temples in the city.